NBC News writes about a group taken for a two-week wilderness expedition intended to convince business and cultural leaders of the importance of a national park system in the Sierra Nevada Mountains during the summer of 1915. The meals were prepared by Tie Sing, a Chinese-American backcountry cook working for the United States Geological Survey. 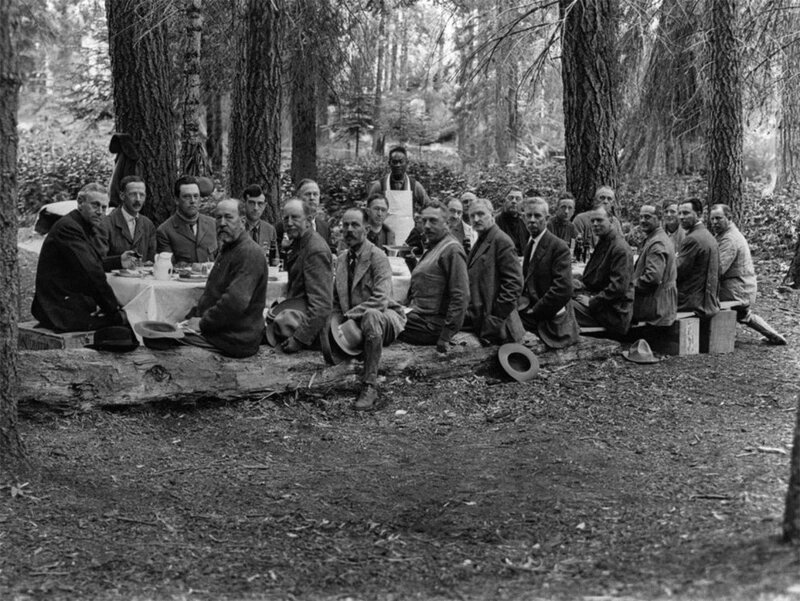 The food he served made the trip "a memorable and enjoyable experience, that contributed a substantial part toward influential people having a very positive perception of the mountains and the need for doing something to preserve the wilderness,” said Eugene Moy, past president of the Chinese Historical Society of Southern California. Sing was one of many Chinese immigrants who played key roles in the history of America’s national parks that some parks staff, historians, and outdoor enthusiasts are working to celebrate. Those roles included cooks and laundry staff at park hotels, as well as workers who cleared the roads for stagecoaches. The chef has a 10,552-foot mountain called Sing Peak, named after him on the southeastern border of the park. Former USGS chief geographer Robert Marshall named the mountain in 1899 after Sing, who at one point served as the head chef of the USGS. Chef Tie Sing's story can inspire more diverse cultures to visit the national parks, seek out these diverse human stories, and feel a greater sense of connection.